Let’s Meet Baby Lauren and Theodore! Woohoo! we’re excited about our guest today, Deborah Sherrell, author of very cute children’s picture book Baby Lauren and Theodore. Deborah’s book is an inspiring story that teaches kids about importance of nature and taking care of the mother Earth. We love how Baby Lauren and Theodore celebrates beauty in nature and how it encourages young readers to try to make a difference – to try to make the world a better place! 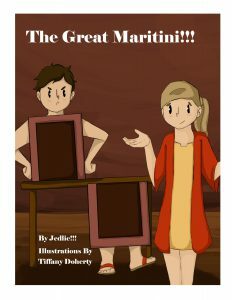 In this episode, Jed sits down with author Deborah Sherrell to talk about her latest book, writing inspirations, and the world of children’s literature. Deborah has kindly answered our questions and shared her writing story with us. Be sure to tune in to catch all the fun. And you really must check out the book itself. It’s lovely and charming. We hope you all enjoy our interview of Deborah! Environmentally friendly! This book was beautifully illustrated, printed on recycled papers and processed chlorine-free! Baby Lauren and Theodore teaches on three levels. It explores the four seasons in a fun and playful manner while children learn the valuable role trees play in the environment. Baby Lauren and Theodore is a story of friendship, love, loss and renewed hope that is sure to warm the hearts of children of all ages. Do you want your kids to learn about the environment and the basic science of our Mother Earth? Click the Amazon link below to get your own copy today! 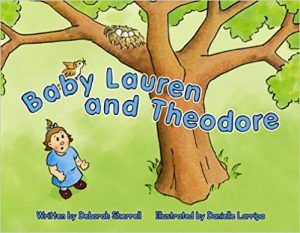 Tell us about your book Baby Lauren and Theodore, and the story behind writing it? Who have been your biggest writing influences and why? What is the most memorable question you’ve been asked by children during your school visits? Tell us about your latest released books and upcoming projects. A big thank you to Deborah Sherrell for joining us and for sharing her wonderful story with us! Finally, where can we find Deborah on the internet? Read NextBELIEVEBooks© Series by Judge Doug Gaston!